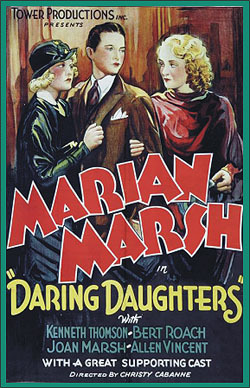 (1933) Marion Marsh, Joan Marsh, Kenneth Thompson. A big city gold-digger, played by the beautiful Marsh, is visited by her naïve sister who wants to see what life in the fast lane is all about. Marion has other ideas. Can she save her sister from the lewd guy in the bedroom? 16mm.